If you have purchased a pot to use on the stovetop, you need to season it before you use it for the first time. Please see Clay Cooking 101 for detailed instructions. If you have a baking dish or something for oven use only, seasoning is not necessary; however, we recommend you soak your dish in plain water for 2 hours before its first use. We recommend hand washing. A dishwasher won't damage or break your clay pot, but clay is a very porous material, even when it is glazed. The heat of a dishwasher will cause the clay to absorb dishwashing detergent - this detergent will then leach back into your food when you cook in your pot. Because of this, we highly discourage the use of a dishwasher with anything that is earthenware. All our products clean very easily by hand; please see Clay Cooking 101 for instructions. All our products have been tested for and are free of leachable lead and cadmium. 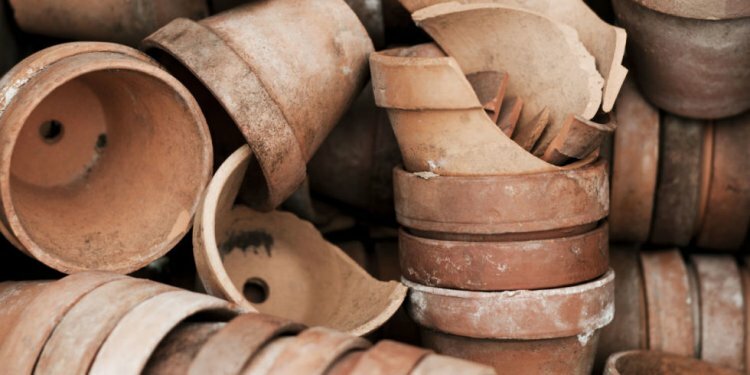 In addition to our own tests, the FDA inspects and conducts periodic random tests on all shipments of earthenware intended for food use when these shipments enter the United States. Please be assured, we actually cook in and use our own clay pots and we have gone to great lengths to make sure our pots are safe for food use. All of the pots listed under our section "for the stovetop" are designed for stovetop use as well as for use in the oven. These pots are high-fired, at 2000º F, terra cotta and the type of clay used to make them allows them to be used on a direct heat source. These pots should be used on low to medium heat, but you will find they easily get hot enough to boil their contents, even on low heat. They do take more time to come up to temperature than a traditional metal pan would and they should be taken up to temperature gradually. Please see Clay Cooking 101 for more details. Our clay cookware is fired at over 2000 degrees Fahrenheit. After firing, it becomes a hard, durable earthenware piece that can tolerate high oven temperatures. Our earthenware can take the heat of any residential or commercial oven - as high as they will go - easily over 500 degrees Fahrenheit. Our clay cookware works beautifully in wood-fired ovens as well. In fact, people that actually teach wood-fired oven cooking classes have been using our cookware to rave reviews! This is an effect commonly known as "crazing." With clay cookware, this is not considered a defect; it is just something that is impossible to avoid. This occurs when the clay body of the pot and the glazed surface expand and contract at different rates when they are heated and cooled. This will always happen with a glazed earthenware. Some clay pots, especially those made of stoneware do not do this. You will see the cracks when the pot is exposed to water and how they will disappear when you dry the pot. Yes, it can. The only thing we suggest is until you know how your clay pot heats in your microwave, use it on low settings only. This is because clay can develop "hot spots" in a microwave and this can cause it to crack. Also remember, the clay pot can easily become as hot as the food in it so remove your pot from the microwave with hot pads. Yes you can, but you may notice a slight leakage or dampness on the bottom of the pot, especially when it is new. Over time, when your pot becomes stronger and the clay is a bit sealed from use, it will rarely occur. This is something you may hear, especially with newly fired earthenware. It will disappear with time and it is simply a natural settling of the clay that occurs after temperature changes. We are always sorry to hear this, as we take great pains in packaging to make sure your shipment arrives safely. However, accidents do happen. Please be assured we will do everything we can to make sure you are happy with your purchase. If you receive your package and the merchandise is damaged, please contact us within 7 days. We will be happy to send you a replacement. Please keep the broken piece and all packaging materials, as we ship with FedEx, and they sometimes will want to come and inspect the package when we file a claim for damages. It takes about 5-7 days for FedEx to contact us. Please do not contact FedEx and file the claim yourself. This usually happens for one of two reasons: the pot was not seasoned properly or it got too hot in one spot. Sometimes you can still use your pot. (We have been using one for years with two cracks on the bottom. Over time, they have become sealed from the liquid and cooking juices that have seeped through them and it has been working perfectly, no leaking.) Another trick is to boil the pot in milk. Immerse the pot in milk in another stovetop-safe cooking vessel, slowly bring the milk up to a boil, let the pot gently simmer for a few minutes, then turn off the heat and let the pot and milk return to room temperature. This sometimes seals the crack and prevents it from "growing."